In the last two decades, there has been explosive growth in the number of channels available for communication. What began with e-mail and automated calling systems has moved to text, social media, push notifications, Slack, and more. Too often, under the bright lights of innovation, effective, established technologies have been abandoned without considering if what has worked historically still has a place when incorporated into these newer technologies. This is what has happened to SMS: Direct access to customers has been misused (and sometimes, abused) and rather than evaluating where this technology fits into a larger customer strategy, many brands have shied away entirely from texting current and prospective customers. With 97 percent of Americans using SMS at least once a day, brands should understand how to use this mobile channel to deliver timely information that customers would otherwise seek out on their own, pairing SMS with other parts of their marketing program for ultimate engagement. For three industries in particular, this opportunity is there for the taking. The immediacy of SMS offers particular value in situations where consumers need access to vital information right away, and often, on-the-go. Southwest and many other airlines have identified this opportunity by offering SMS notifications of gate changes, delays, and more. Rather than using mobile opt-ins to share new flight routes or sales (that are better shared over e-mail), these brands understand when SMS has the best application: When delivering time-sensitive updates. To compound that value, airlines should look to other parts of the customer journey that could benefit similarly – like sharing tracking information for checked baggage or estimated wait time for the security line. Hotel chains like Loews, Four Seasons, and Hyatt are exploring an even more innovative way to SMS: Two-way messaging. These brands aren’t using mobile opt-ins to share the latest location opening or seasonal promotion – information that offers little value in an industry based on itinerancy – but instead, are looking at ways text notifications and communication can improve the experience once the customer becomes a guest. Not only are guests notified when his or her room is ready, but they are also offered concierge services like setting up restaurant reservations and spa appointments, all via text. These services add value to the customer’s experience, ultimately building loyalty which all marketers know, pays long-term dividends. 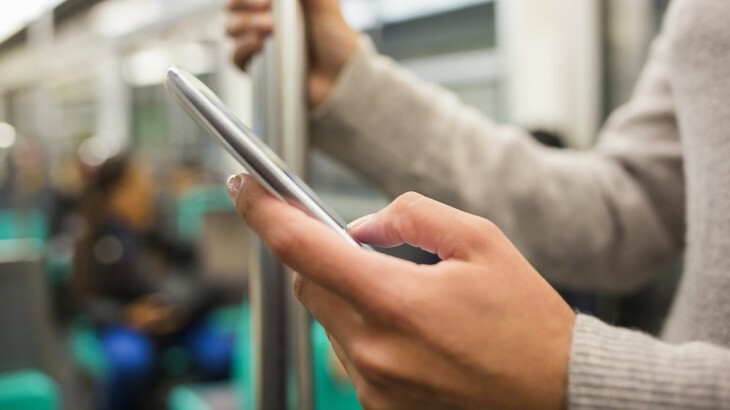 Many retailers have hopped on the SMS train, using the direct communication to deliver information that consumers are looking for, like convenience and cost-savings, rather than information that brands are seeking to disseminate. For example, Walmart has introduced text message sales receipts, which not only make organizing receipts more convenient, but they also allow the retailer to personalize future SMS messages based on a shopper’s buying habits. By keeping customer convenience top of mind, Walmart is able to deliver additional value to the consumer, using mobile contact information to share offers that are truly relevant to the customer. In this vein, retailers should consider using SMS to remind consumers when it is time to restock a critical item that often goes ignored, such as batteries for a smoke detector, or even changing oil in a car. By linking these reminders to loyalty program enrollments, retailers can remind consumers to purchase, and then reward them for that purchase – thus creating a seamless customer cycle. Many of retail’s SMS case studies offer lessons for restaurants as well. Look at Taco Bell – the restaurant chain that already has its eye on the mobile prize with its Mobile VIP app, allowing fans to order online and play Taco Bell Explore for loyalty points. The brand has taken the mobile-forward approach even further by texting sales receipts to customers. For a quick service restaurant, offering discounts or promotions may not be feasible, but streamlining the purchase transaction is welcome, especially for a customer group that has already expressed a desire for mobile engagement. Perhaps the most innovative use of SMS technology was announced in June 2015, when Domino’s announced plans to let customers simply text a pizza emoji to place an instant delivery order, joining the offer to tweet-a-pizza. While this plan is certainly exciting and innovative, what really sets it apart is the way it simplified the customer experience by offering more mobile platforms for ordering and by simplifying the time it takes to go from being hungry to knowing your meal is on its way. Bring up SMS technology to marketers, and the feelings are split. Meanwhile, SMS technology has come front and center on the regulatory landscape as well, leaving some nervous about using the platform at all. Regardless of concerns, the reality is that consumers are texting prolifically, and if brands want to continue communication, SMS is critical to forging that bond. The key is to look first at the communications consumers want: Ways to save money, ways to simplify a purchase or experience, and ways to buy more of what they want and need. By putting content first and then looking at the best channel to deliver each message – whether it be SMS, e-mail, push, or others – consumers will see the value in receiving your messages, and your brand will see the benefits of a comprehensive mobile marketing strategy.